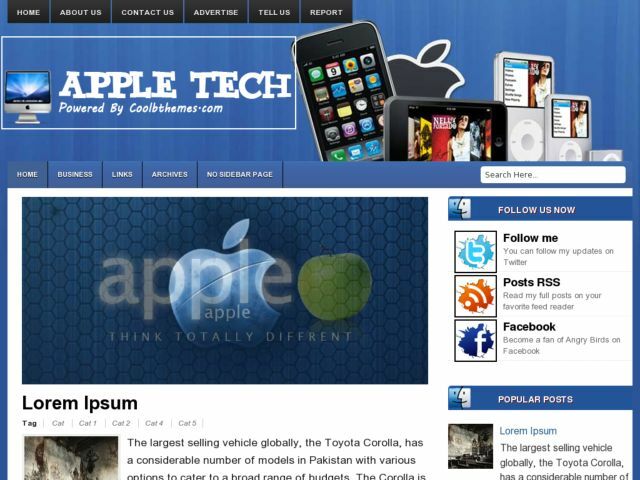 Descriptions : Apple Tech Blogger Template is a dynamic template with blue background, using the theme of mobile gadgets. Has 2 columns and the sidebar located on the right side, simple slider menu, 3 columns footer section, auto readmore, social icons ready. Suitable for blogs with a theme of the gadget or mobile phone.